No matter your technique, kneading dough is one of the most cathartic acts of baking. So much so, it was recently the subject of a Radio 4 'Food Programme'. Sheila Dillon met with a group of refugees who used baking in their recovery, exploring the spiritual and therapeutic value of bread making. For me, the day's inevitable frustrations and worries are soothed away during a time that can be used for a little peace and reflection. 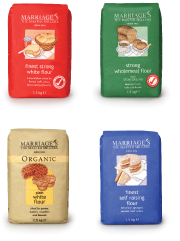 The gluten takes the brunt of your strains and stresses. And after ten minutes of kneading you're left with a satisfyingly weary ache in your arms and a smooth, well stretched dough. Be warned though- Baker boys in eighteenth century Paris were known as 'The Groaners' for their pitiful cries after hours upon hours of back-breaking kneading. A couple of hours later the irresistible aroma of freshly baked bread fills every nook and cranny of your home. Cathartic, creative and very delicious- it's no wonder home bread baking remains as popular as ever. 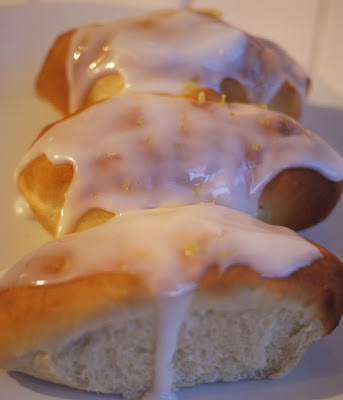 Baking these Lemon Iced Buns brought back many childhood memories of choosing sticky buns fresh from the Baker's Van, which would call weekly at home. Big trays would emerge from the back of the van filled with Custard Slices, Macaroons, Eclairs and all manner of tempting cream cakes. But without fail I'd choose the Iced Bun. I still love them. In homage to my eight year old sweet toothed-self, here's my home made version. 1. Preheat the oven to 220C/425F/Gas Mark 7. Grease a baking sheet. 7. For the icing: place the sifted sugar into a large bowl. Gradually add the lemon juice until a smooth thick icing is formed. Dip the cooled buns into the icing. This is my entry to this month's Tea Time Treats, alternatively hosted by myself and Karen from Lavender and Lovage. There's still just about time to enter. The theme is: Bread! Of course, there are there proponents of the 'no-knead' method (hello Dan Lepard!). what a wonderful idea, that bread making can be therapy for traumatised people such as refugees. i am hopeless at baking with yeast, so i admire anyone who can tun out such pretties! and i would not put custard in those...they look lovely as they are, why gild the lily? I could easily stuff myself with these! I love sticky buns!!! And the lemon sounds like a good idea; I've only ever had them with raspberry icing. As for the custard filling idea, I would say that it's not such a terrible one at all and sounds quite nice, although I don't think it would entirely work for these. Maybe you could try a sweet, lemony sauce or jam? Not much. Just a little ooze as you bite into them would be good. Divine! When I was a little girl out shopping with my mum, we'd always stop at the bakery and I was allowed to choose a cake to eat when we got home (my mum did not tolerate eating in the street or on the move!). I always - ALWAYS! chose an iced finger bun. They are heavenly. I love how yours have come out. I agree that baking can be cathartic when you're really into it. I love the look of these buns. I'm sure my son will love them too. 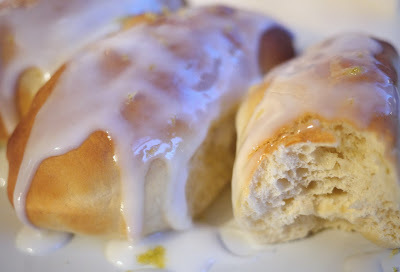 I love iced buns! Like you they remind me of being young, they were such a treat. I made some for my children the other day and the turned out enormous, like little loaves! They didn't complain but next time I might try your recipe!